Product Description: This optical crystal slant star paperweight rises up on the back to show off the beautiful flat polished face. 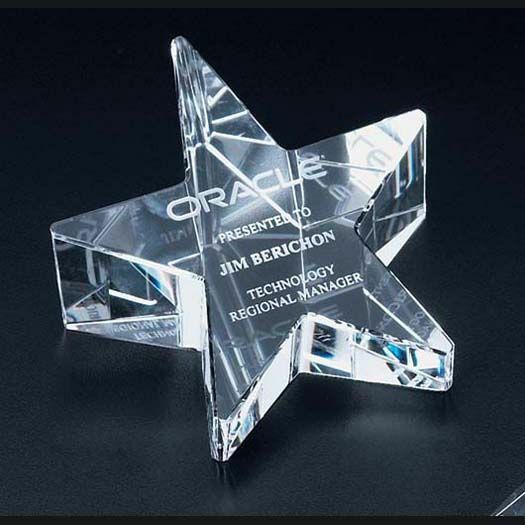 engraving your corporate logo and/or text will display well on this very beautiful crystal award. Size: 4"H x 4"W x 2-1/8"H.
Engraving Area: 1-3/4"H x 1-3/4"W.